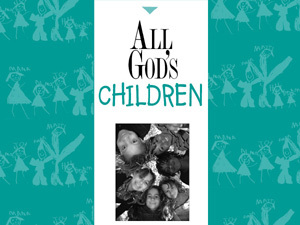 All God’s Children: Teaching Children about Sexual Orientation and Gender Diversity is an essential guide to open and caring conversations with young children about gender and sexual orientation. You’ll find that this small, user-friendly book by Melany Burrill addresses your concerns, your questions, and your search for just the right words; it also suggests ideas for sermons and classroom activities. As you read, you’ll learn to model openness, respect, and the affirming belief that everyone, regardless of sexual orientation or gender difference, is a beloved child of God. Anyone who has a loving relationship with young children—parents, family, friends, pastors, Sunday School teachers—will benefit from reading and discussing All God’s Children. TransParent provides compassionate support and resources to parents and caregivers raising a gender independent child.